The warning for wind is in place across Wales and the north west until midnight tonight - with Wrexham also covered in the Met Office warning. Winds of more than 70mph have buffeted the Republic of Ireland, Northern Ireland and the west coast of Britain along with torrential rain. The storm is wreaking havoc on travel arrangements, with certain flights being canceled on Friday morning at Cardiff and Exeter airports. Met Eireann has issued an orange storm warning predicting gusts of between 100 and 130km/h. 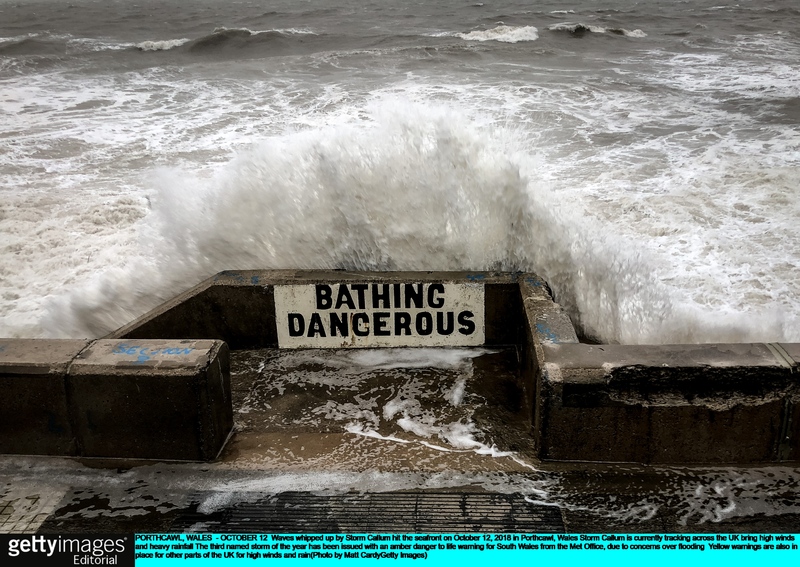 The forecast deluge poses a risk of communities being cut off by flooding, while widespread gales are expected to cause disruption across western areas of the UK. If it drifts further east, we would be in for stronger winds. "Despite clearance efforts by the Council, the high winds will increase the amount of falling leaves and block drains very quickly, exacerbating flooding" he warned. The Met office have issued a yellow weather warning as Storm Callum brings a spell of heavy and persistent rain for tomorrow. "Some further severe gusts are yet expected, with the the severe ORANGE warning still in operation for west and northwest coastal counties".